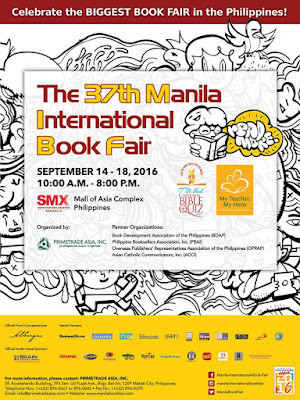 Calling all book lovers and collectors! 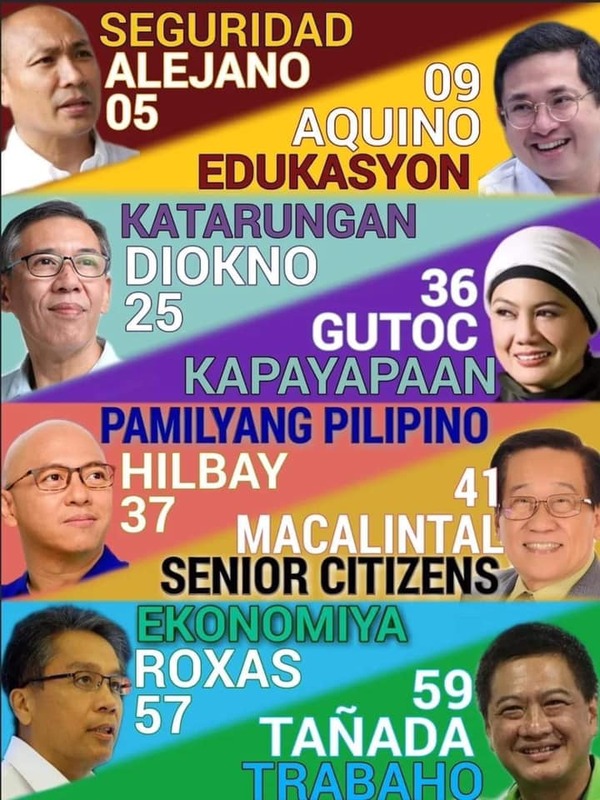 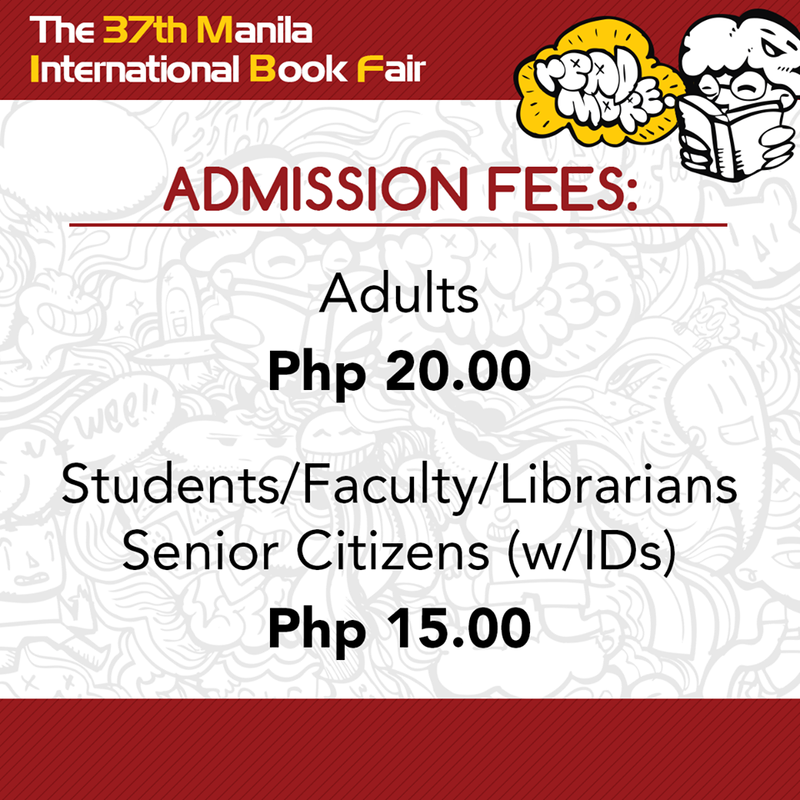 Don't miss the biggest book fair in the country! 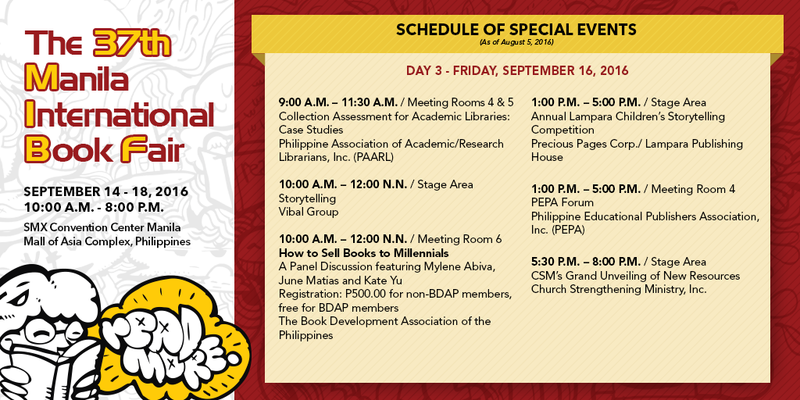 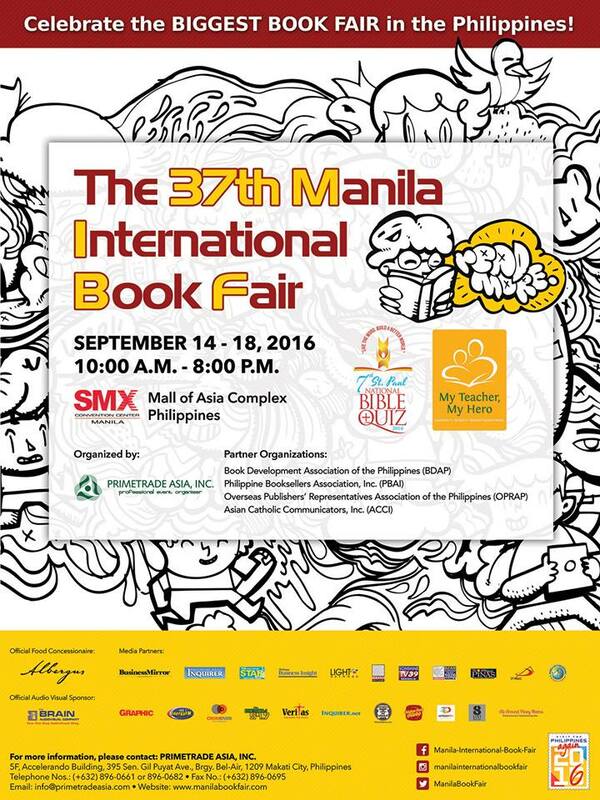 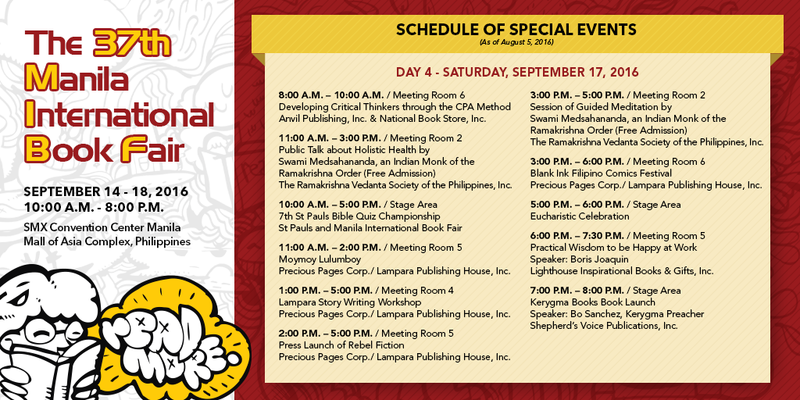 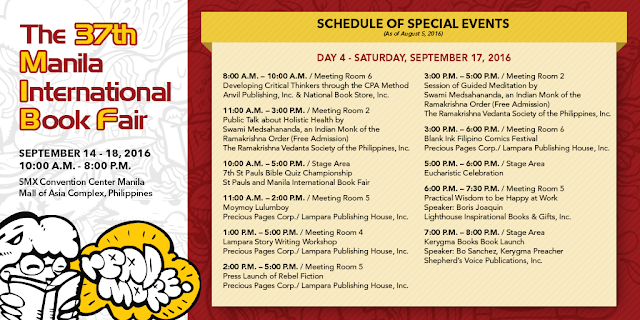 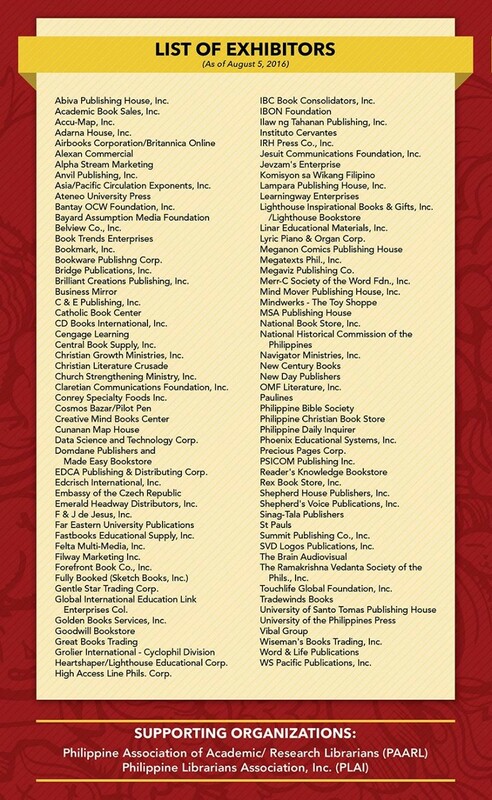 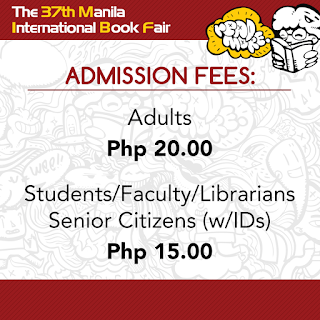 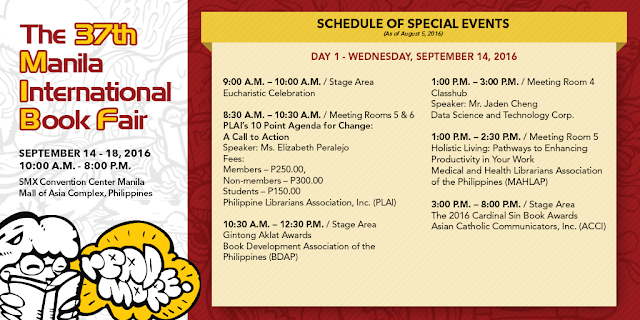 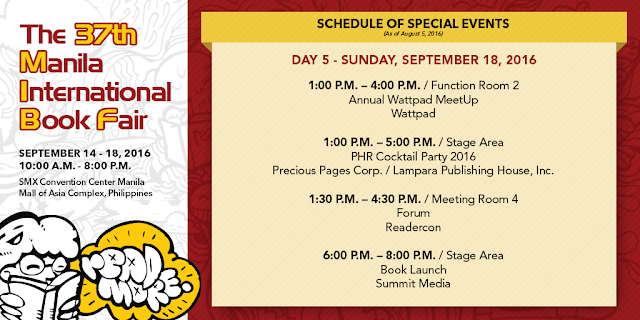 The 37th International Book Fair happens on September 14-18, 2016 from 10am to 8pm at SMX Convention Center, MOA Complex.